Monash supporters literally save lives in Australia and around the world. By giving to ground breaking research – from drug discovery and clinical practice to humanitarian crises and clean water – our donors are responding to health and social challenges on a grand scale. In a short 60-year history, Monash has secured its place as an international leader in medicine and health sciences. From successfully achieving the world’s first IVF birth in 1980, to improving patient outcomes across the life cycle, Monash continues training the next generation of researchers and doctors to deliver new treatments and cures. Donors to Monash are tackling the diabetes epidemic, supporting research into the neurology of addiction, and seeking improvements to women’s physical and mental health by giving to world-leading research into maternal mortality and perinatal health. Allied to international public health and social justice programs, Monash teams are improving the quality and longevity of life on an international scale. And right here at our Clayton campus we’re fighting Australia’s leading cause of death – heart disease – by establishing the country’s first specialist heart hospital including the nation’s foremost cardiovascular research institute. BrainPark - The David W Turner Research Centre was established in 2017 through a cornerstone donation of $2.2 million from The David Winston Turner Endowment Fund. The clinic is develops novel, evidence-based treatments for compulsive behaviours. 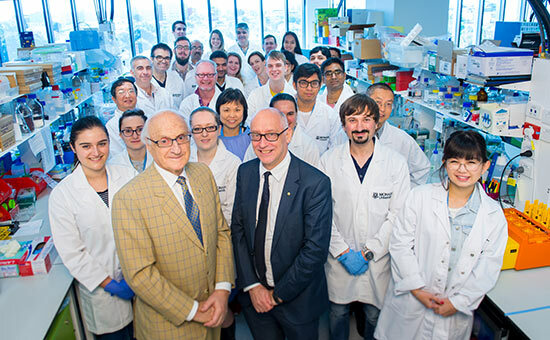 Monash University established Australia’s first dedicated academic Department of Diabetes at the Alfred Hospital in 2017, thanks to two transformational gifts from The Meydan Family Foundation and Elias and Colleen Jreissati.